Address the allegations of fraud at State-owned Petrotrin and take immediate action. That’s the advice from Opposition leader Kamla Persad-Bissessar in response to what she says is an attempt by Prime Minister Dr Keith Rowley to deflect from the seriousness of the allegations of oil fraud contained in an internal audit report at the State-owned company. In a statement just a day after she was accused of “jammetry” over the matter, Persad-Bissessar said the Prime Minister failed to take decisive action on the matter, despite the audit findings having revealed that close to $100 million was overpaid to lease operator A&V Oil and Gas Ltd.
Persad-Bissessar is of the view that the matter is serious enough to warrant the attention of the DPP, Commissioner of Police and Integrity Commission. “Further, the Prime Minister’s admission that he spoke to his “good friend”, Nazim Baksh, who runs the company that reportedly defrauded Petrotrin through the submission of false reports and receipt of more than TT$80 Million for oil it did not produce, is cause for alarm,” she added. She also questioned Rowley’s involvement in matter, following his admission that he spoke with Baksh. 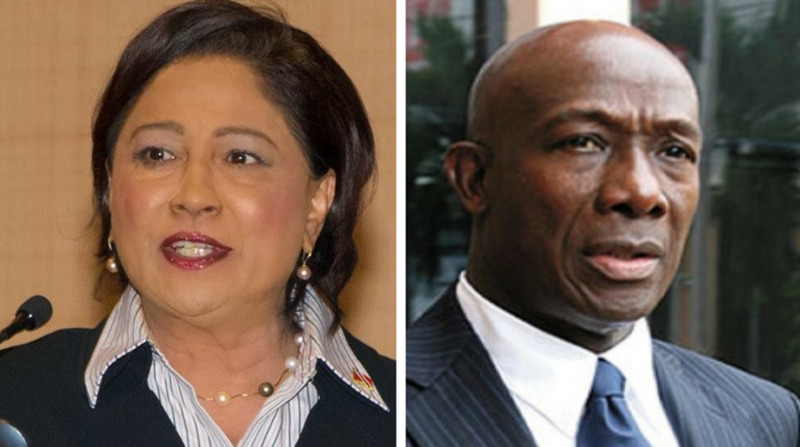 “As Prime Minister, Rowley’s sole interest should be in seeking the national interest, and ensuring that the $100 million stolen from the country is recovered, and those found to have been engaged in wrongdoing held accountable,” Persad-Bissessar stated. She also raised concerns over the operator’s contract with Petrotrin, questioning if it remains in effect. The Opposition leader called for the immediate termination of the contract, adding that Petrotrin must report whether it has acted upon the recommendations and findings of the audit report. Persad-Bissessar said the Prime Minister’s handling of the matter, as with the Tobago ferry fiasco, has shown his failure to take action against Minister of Energy and PNM Chairman, Franklin Khan. “Like his colleague Rohan Sinanan, who presided over the mishandling of the procurement of the Cabo Star and Ocean Flower 2 vessels, Khan has been spared, and remains in his position,” the Opposition leader added. She said the debacle has clearly shown that Government is not concerned with transparency, accountability and good governance. “We maintain our call on the Government to take immediate steps to follow the money, freeze assets and ensure that the country recovers what has been taken from it,” Persad-Bissessar concluded.